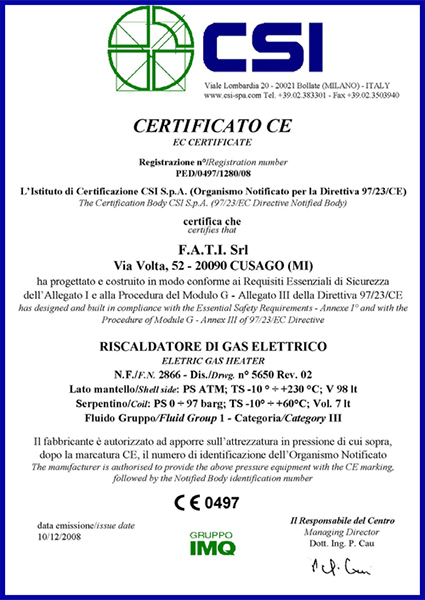 In the context of certification accredited according to the standards of national and international standardization bodies (UNI, ISO, etc. 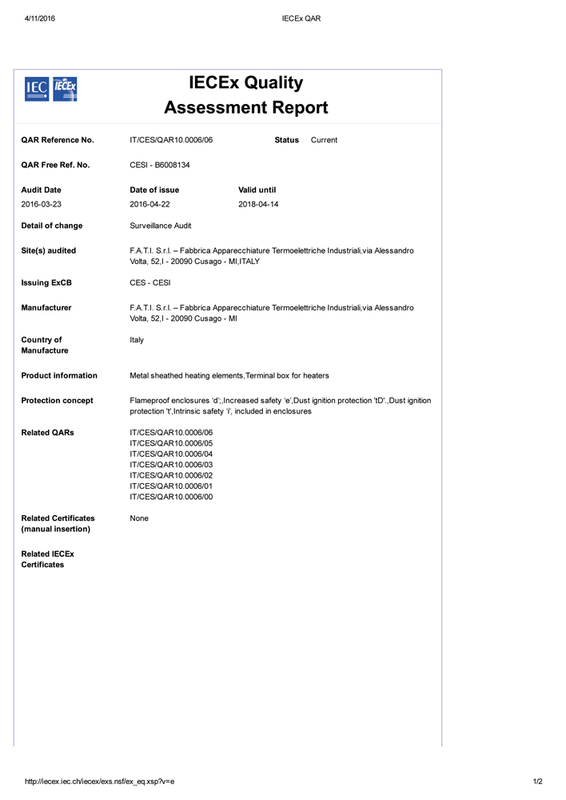 ), certification is a very precise term, foreseen by the UNI EN ISO 17000 standard . In summary terms we can say that the certificate is a certificate of conformity (issued with respect to a specific specification, there is no generic certification) issued by a third party, independent and authorized (qualified, accredited, qualified) to do so (by law , for ISO standards and related recognition agreements, etc.). FATI International is committed to continuous improvement to ensure that customers' requirements are met and backed up by a level of service necessary to operate in today's global market place. 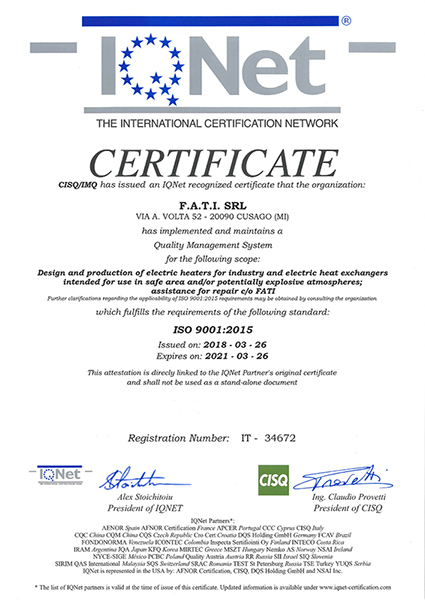 The Company's quality system is certified according to the ISO 9001 standard by IQNet - CISQ/IMQ-CSQ. The system to guarantee the quality of Ex (fire and explosion proof) products conforms to Annexure VII of European Directive 94/9/CE (CESI 03 ATEX 079Q notification). Products manufactured for the European market are CE marked and meet the requirements of the European Low Voltage, EMC and Machinery Directives. Certification The quality of FATI's products has achieved all the most significant national and international certifications in the sector. 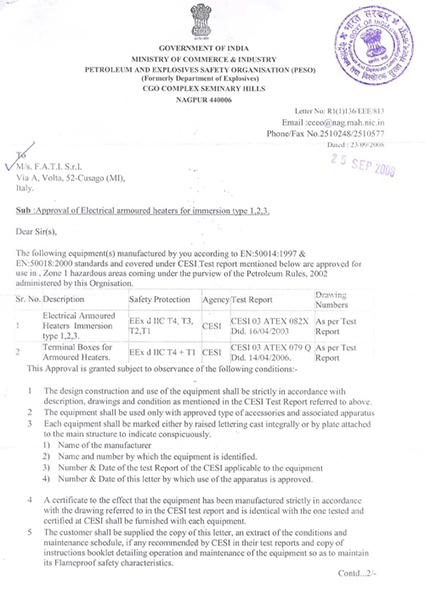 The International IECEx Certification System (voluntary) was implemented by the International Electrotechnical Commission (IEC) in 2003, in order to facilitate the "Worldwide" marketing of electrical appliances and components, and services, intended for use in explosive atmospheres. FATISrl has started, since 2012, a massive IECEx certification campaign of its "explosion-proof" Heaters in compliance with the aforementioned system, including the verification of the specific Product Quality Control System (QAR). 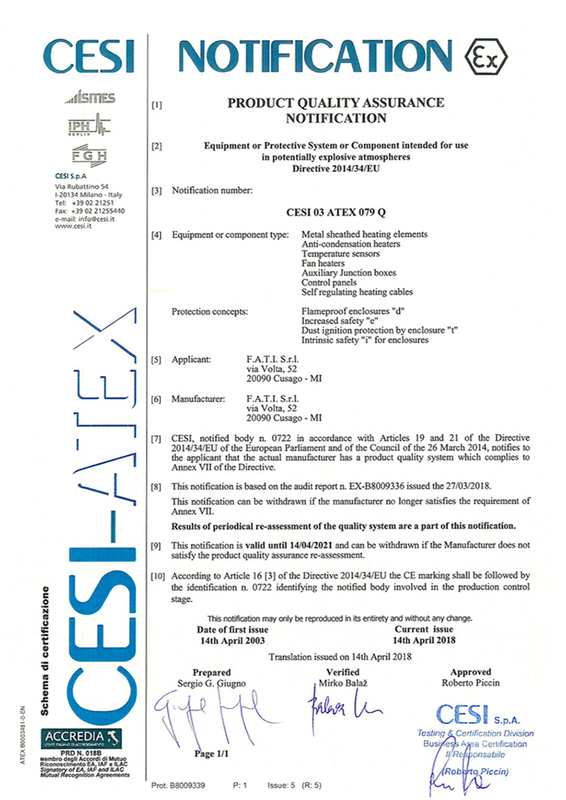 Today FATI operates with 5 different IECEx Accredited Bodies (ExCB), located in 3 different European States (CESI, IMQ and EUROFINS in Italy, INERIS in France and ITS-Intertek in the UK). 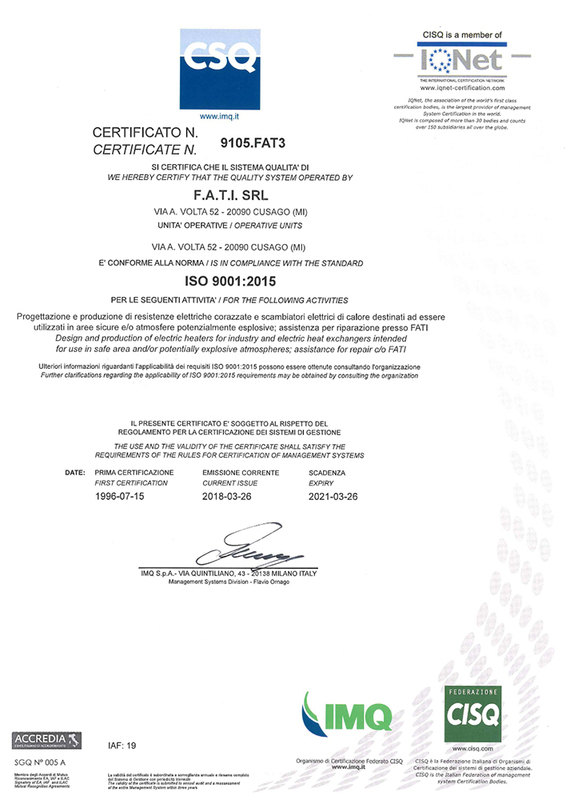 Certification of quality management systems, ISO 9001. After the grant of the certificate the organization undergoes periodic visits and comprehensive review of the system every three years, to ensure the maintenance of its conformity to the reference standard. 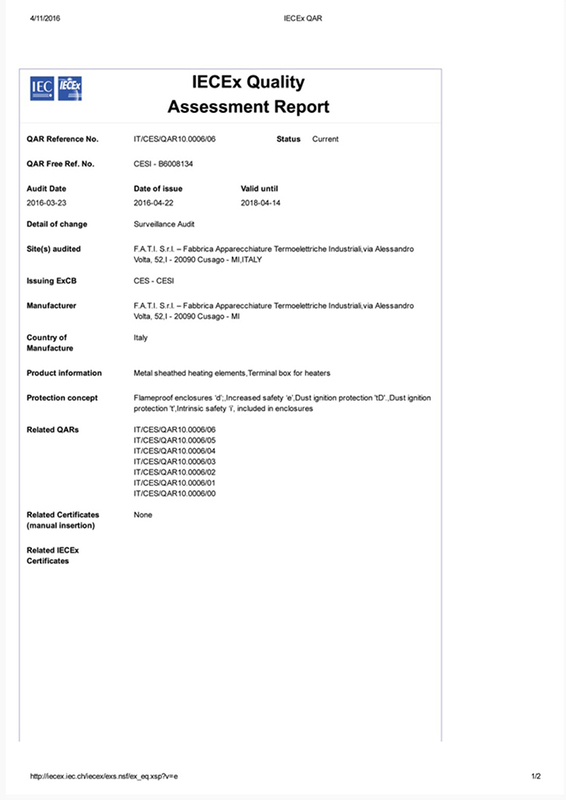 The CE marking is mandatory for all products for which there is a Community directive, is made by the manufacturer of a regulated product in the European Union, which declares that the product complies with the safety requirements, for by the guidelines or applicable EU regulations. 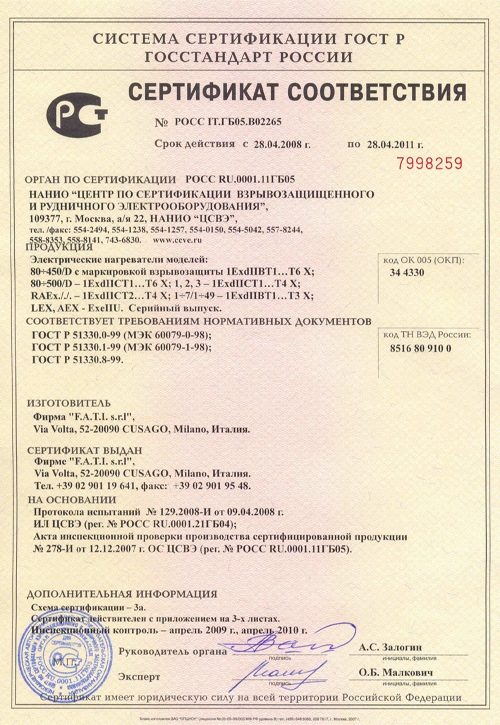 Examination certificate for equipment or protective systems intended for use in potentially explosive atmospheres. It is the conformity that allows export to the Korean market. 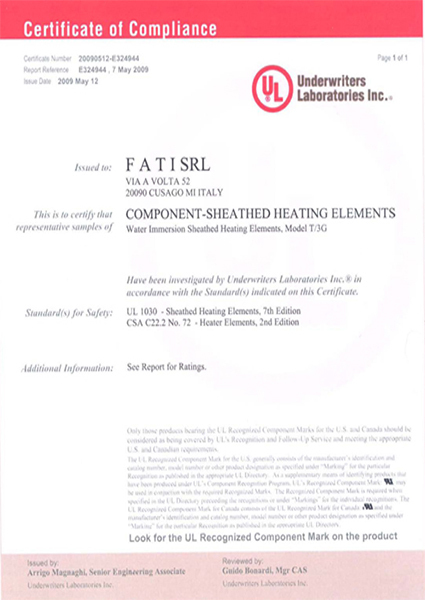 Fati is in possession of certification for its products. 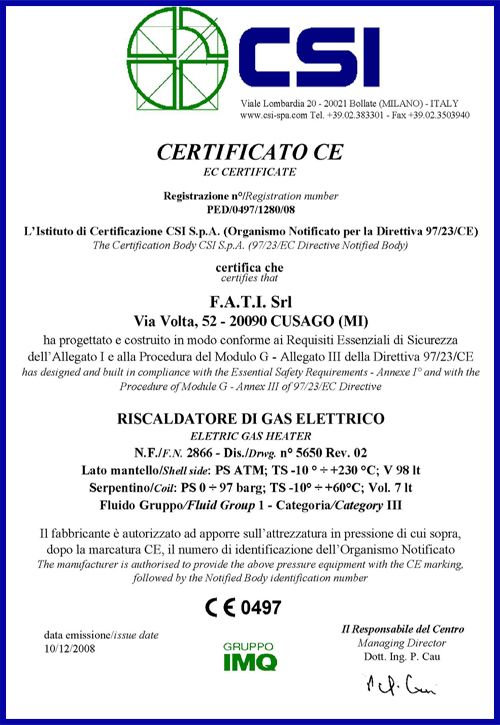 The main activities before receiving the final certificate, consist of inspection, verification and certification of goods and equipment, projects, products and systems, in relation to internal standards, mandatory and voluntary standards nationally and internationally, to provide a compliance report. 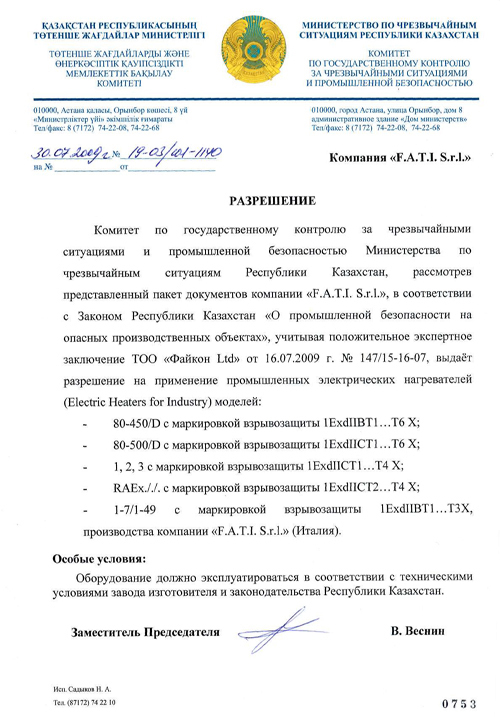 It is the conformity that allows export to the Eurasian market composed of RUSSIA, Belarus, KAZAKHSTAN, ARMENIA. 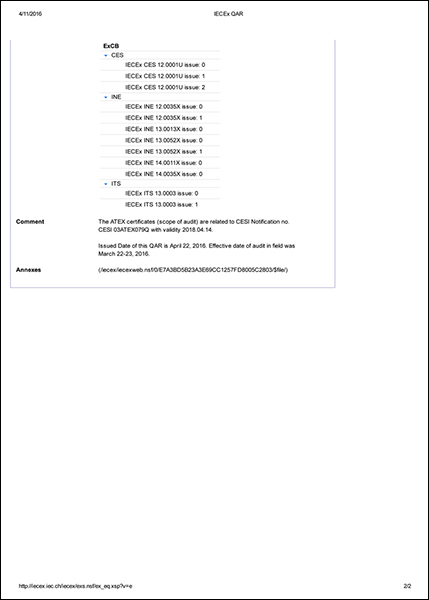 Products TR_CU TR_CU TR_CU012, 010, Fates are certified 004, 020 TR_CU, 032 TR_CU. 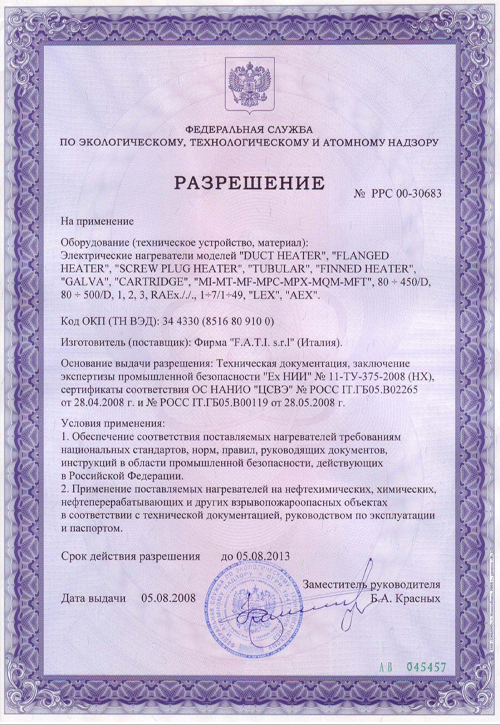 The Technical Passport accompanies always supplies for the EAC market. Product certification in order to access to the Brazilian market. 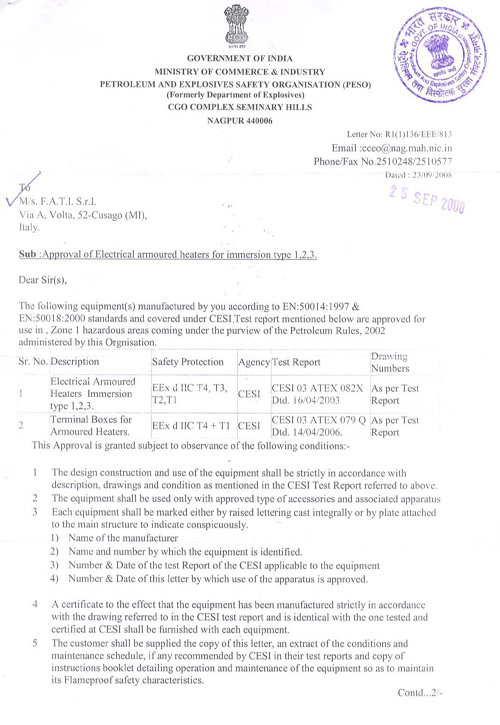 It compliance allowing exports to the Indian market. 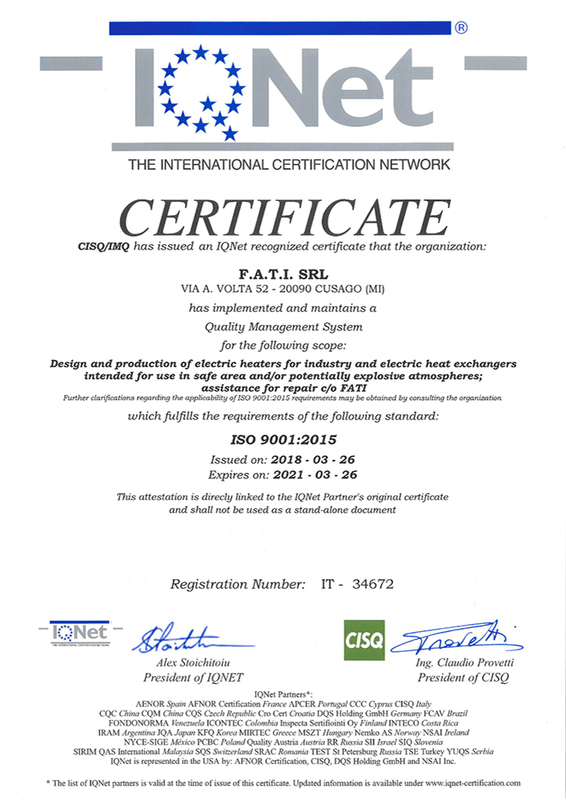 Fati is in possession of certification for its products.